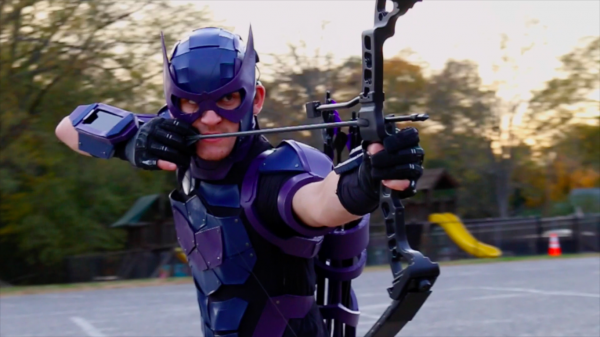 This Hawkeye Costume Stays on Target « Adafruit Industries – Makers, hackers, artists, designers and engineers! 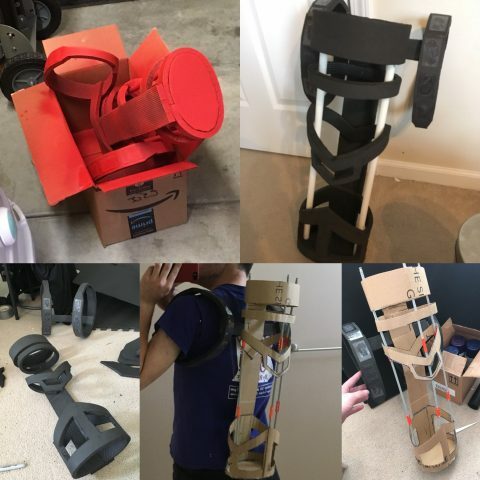 The build included cardboard and paper prototypes/mock-ups before making the actual item from craft foam. 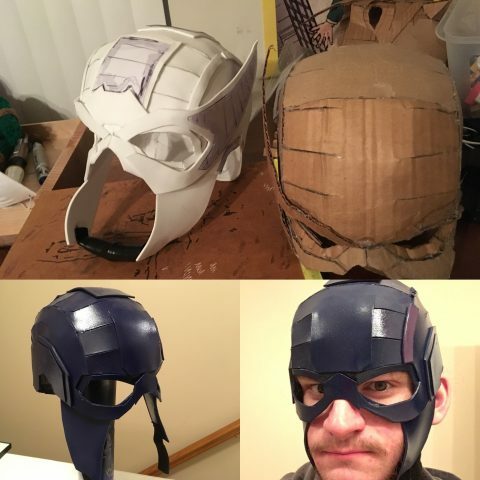 He started with the helmet, because as he says, he knew if he could get that to look good, then he could do the whole suit. I’d say he pretty much nailed it. You can take a look at the full costume and a couple of in progress pictures below. See the costume take shape over the course of two years through photos in this Imgur gallery.